Attitude is everything and means the difference between losing weight successfully and failure. Let’s face it, with the correct attitude and if Your Why is big enough you can accomplish anything you set your mind to. A positive attitude to almost everything in life will really always stand you in good stead to achieve much or your goals and dreams. However, nobody said anything worth having comes easily! It is not only attitude that helps you lose weight, keeps you disciplined, motivated and persistent but your WHY. WHY do I want to lose weight, is it for me and my own self worth, my health, my looks … or am I doing this because my husband, partner or family are nagging me to lose weight. You probably have many reasons for wanting to lose weight but most importantly it should be for your self. In order to take this weight loss journey and be successful it has to be because YOU want this and not for anyone else. This is your moment, your journey and it has life changing benefits for you personally. Your Mental outlook can mean the difference between failure and success. “Self-defeating thoughts, are often the most overlooked factors when a dieter gets off track. You feel disappointed with yourself and feel that you have no willpower.. or are simply just a weak person, if you do not stick to your weight loss plan. Without the resolve to to overcome such thoughts, sticking with any major lifestyle change, like losing weight can be difficult, if not impossible. The Key to success is to adopt the right attitude before you start your weight loss journey. If you’re really serious about slimming down, your thoughts need to be in the right place and you need to think long term. That’s why it helps to ready yourself emotionally so that you can take on the challenge. To ensure success, you need to develop the will to improve your life and not someone else’s vision of it! 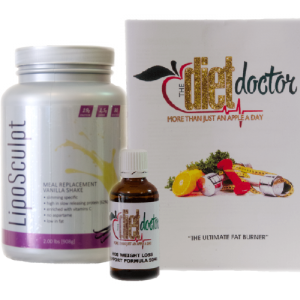 With the HCG slimming injections or Slimming drops, following the HCG protocol and our assistance … as your partner, it really is not that difficult, because there is no doubt that the HCG is an amazing weight loss solution, that produces extraordinary results. 2. Be realistic with your goal and don’t rely only on the weight loss registered on the scale as You will be losing centimeters all the time. Think of a goal like fitting into an item of clothing that is perhaps too tight, or an item of clothing in a smaller size. 3. Visualize the New You! 4. Get your priorities right – start each day as a new day and take this weight loss journey one day at a time. 5. Perhaps emotions like stress, anger, hurt or sadness make you want to eat to comfort yourself instead write down your feelings in a journal and you will soon find that the urge to eat has passed. Have a manicure or pedi or go for a walk, even just a chat with a good friend. If you do perhaps have a slip up…then simply dust yourself off and get back on track don’t spend the entire day beating yourself up and eating even more. This is YOUR moment, Your journey and it has life changing benefits for you personally.